If you liked Vathek you might like these books. Vathek (1786), originally written in French, remains one of the strangest eighteenth-century novels and one of the most difficult to classify. Perverse and grotesque comedy alternates with scenes of 'oriental' magnificence and evocative beauty in the story of the ruthless Caliph Vathek's journey to superb damnation among the subterranean treasures of Eblis. Underlying the elegant prose is a strong element of self-indulgent personal fantasy on the part of Beckford, youthful millionaire, dreamer, and eventually social outcast. 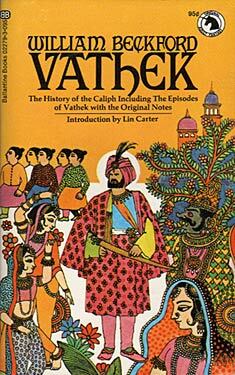 Byron, Poe, Mallarmé, and Swinburne are some of the literary figures who have admired Vathek's imaginative power.